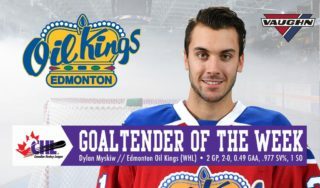 The Western Hockey League announced today that Dylan Myskiw of the Edmonton Oil Kings has been named the WHL Eli Wilson Goaltending Goaltender of the Week and League nominee for the Vaughn CHL Goaltender of the Week for the week ending April 7, 2019. 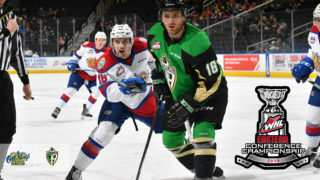 Myskiw appeared in two games during the past week, picking up a pair of wins to help propel the Oil Kings to a 2-0 series lead against the Calgary Hitmen in their Eastern Conference Semi-Final. During that span, he has registered a 1.48 goals-against average and stopped 46 of 49 shots for a .939 save percentage. Myskiw’s efforts began Saturday with a 20-save performance in a 3-2 overtime win over Calgary. 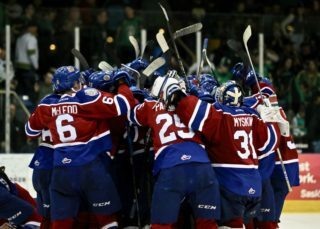 The following night, Myskiw stopped 26 of 27 shots in a 4-1 win for the Oil Kings. Stopping seven shots in the first period, 11 in the second and eight in the third, Myskiw was named as the game’s First Star, as well as the Second Star of the night in the WHL. 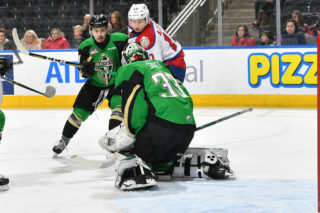 Myskiw is coming off a strong regular season with the Oil Kings after providing stability in the net for the Central Division title holders. In 45 games, Myskiw sported a 28-11-2-3 record, 2.53 GAA, .914 SV% and one shutout. 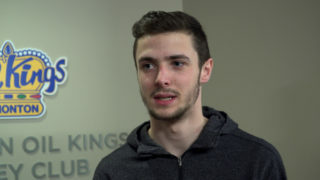 Originally, Myskiw was drafted by the Victoria Royals in the sixth round, 112th overall, in the 2014 WHL Bantam Draft. 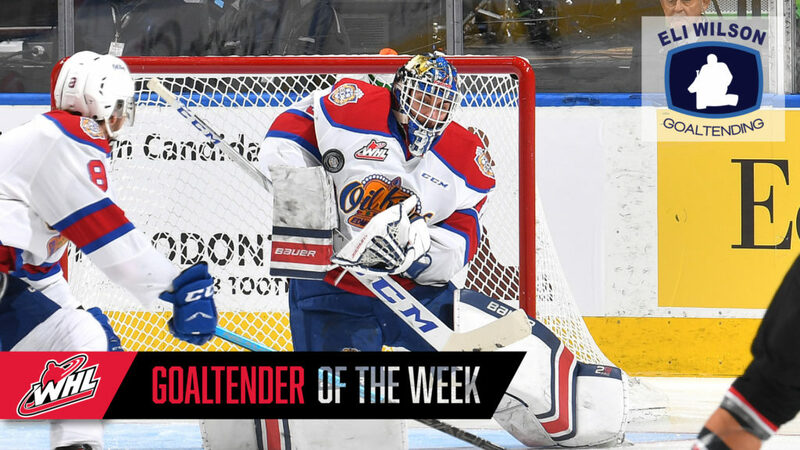 He was previously named the Eli Wilson Goaltending Goaltender of the Week for the week ending February 24, 2019. 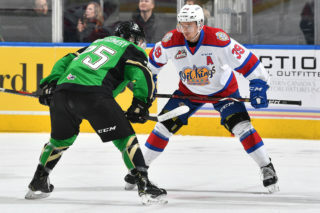 Myskiw and the Oil Kings will be back in action for Games 3 and 4 of their second-round series against the Hitmen on Tuesday, April 9 (7:00 PM MT) and Wednesday, April 10 (7:00 PM MT) at the Scotiabank Saddledome.